You don&apos;t have to shelter yourself at home from frigid air this winter. 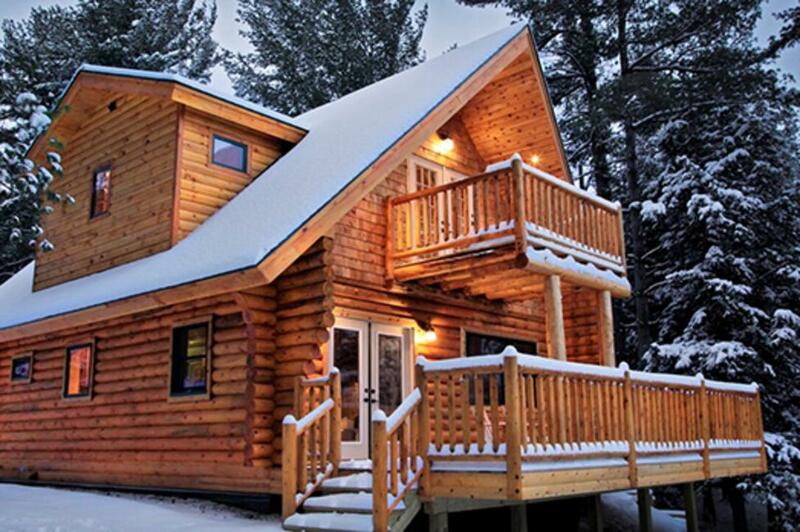 Hunker down with a smile in the coziness of a cabin with a view, a fire, and your favorite people (or snuggle solo). New York has no shortage of unique rentals across the state. Here are six cabin getaways you won&apos;t want to miss out on this season. Woodstock has cottages galore—many situated on or near reservoirs, ponds, and creeks that are perfect for the winter fisherman. Head into town where gallery showings at Woodstock Artists Association & Museum, performances at Woodstock Playhouse, and locally-sourced food at Garden Cafe will feed your artistic and outdoorsy sides alike. 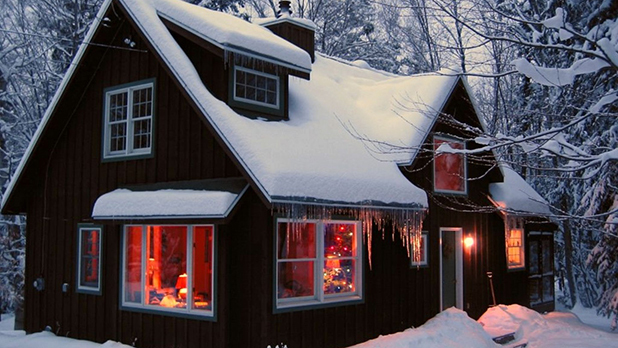 A cozy cabin in the Adirondack Mountains is your ticket to a fairytale winter getaway. Get a taste of the rustic life in cabins near Lake Placid where you&apos;ll experience nature&apos;s beauty and the nearby village&apos;s vibrant downtown. Whether you hit the slopes at Whiteface Mountain, soak in the beauty of Mirror Lake, or kick back with a craft beer at Lake Placid Brewery, this area guarantees an unforgettable winter vacation. 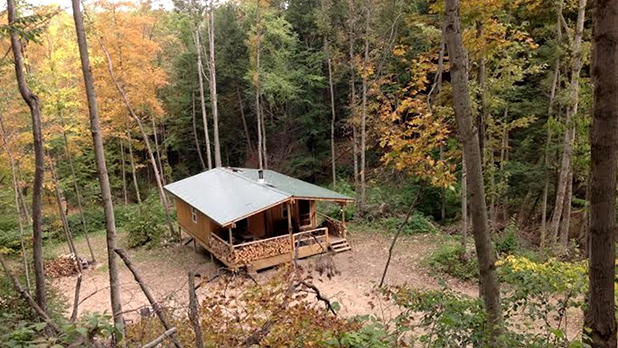 Head to the Grand Canyon of the east, Letchworth State Park, for a creekside cabin experience that will leave you feeling peaceful, warm, and rejuvenated. 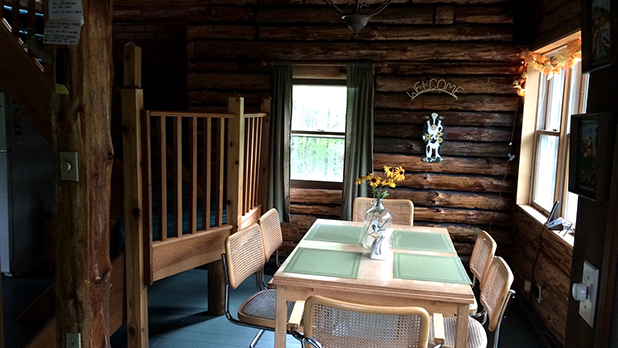 With cabins for rent all over neighboring town Dalton, you&apos;ll be able to explore the woods and waterfalls all while having a warm refuge within the cabin walls. Winter offers snowmobiling and hiking trails, cross-country skiing, and tubing. Drive 15 minutes to Castile to pay a visit to the William Pryor Letchworth Museum, where you&apos;ll delve into area history with Native American and pioneer artifacts. 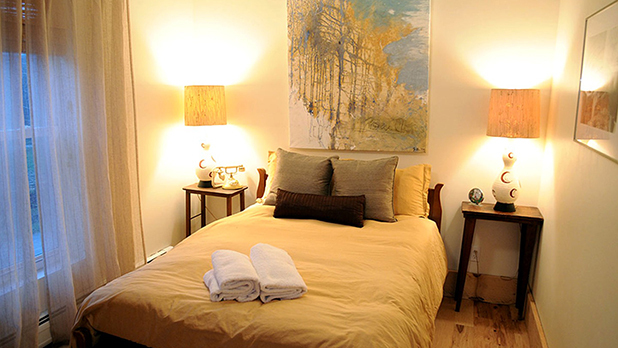 Travel to the Catskills for a luxurious farmhouse experience in the quaint town of Medusa. Nearby sits Windham Mountain for a day trip of skiing, snowboarding, or tubing for the little ones. Equipped with a fireplace and multiple bathtubs, the farmhouse is the perfect sanctuary to warm up after a day of winter activities and woodlands exploration. 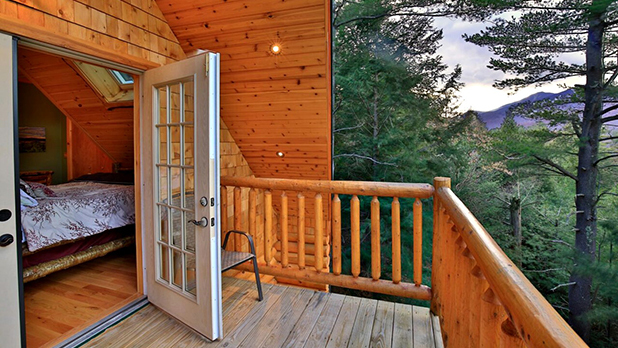 Get perspective in this treehouse cabin located in the heart of the Finger Lakes. Cozy up with friends and family in the clouds in the middle of a lush canopy of trees. Cayuga Lake is home to historic inns, wineries, and farm-to-table restaurants, all situated around the longest of central New York&apos;s glacial Finger Lakes. The Cayuga Lake Wine Trail is the longest-running wine trail in the state and boasts 16 wineries, four distilleries, one cidery, and one brewery. 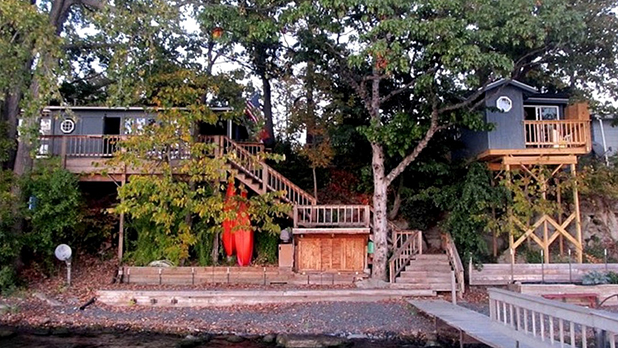 Stay in the trees or book a cabin on Cayuga Lake for more options. From rustic to renovated to luxury, there are plenty of log cabins to choose from in Cooperstown. Sip cider and play board games with friends and family in a woodland setting perfect for the group that wants to enjoy peace and quiet as well as a good ol&apos; hang out. Check out the National Baseball Hall of Fame and Museum or Brewery Ommegang on a fun trip into town.